Wes Anderson’s The French Dispatch has added Henry Winkler to its already very impressive cast. There has been a lot of buzz online about Anderson’s latest project, which is still under a heavy cloak of mystery. Initially it seemed like the movie was going to be a musical starring Brad Pitt and, ultimately, that was debunked. But Anderson is indeed already hard at work on his next live-action feature and now he’s got some help from the man formerly known as the Fonz. According to a new report, Henry Winkler, who first came on everyone’s radar during his time on Happy Days, has joined the cast of The French Dispatch. Details on his role, and the movie in general, are being kept under lock and key for the time being. What we do know is that the movie is already filming on location in France. It’s said to be set during the 20th century at the French bureau of an American newspaper and will thread together three different storylines. How exactly Winkler fits into those storylines remains to be seen. Thanks to his turn on HBO’s hit series Barry, which also stars former SNL cast member Bill Hader, Henry Winkler is having something of a career resurgence in his twilight years. 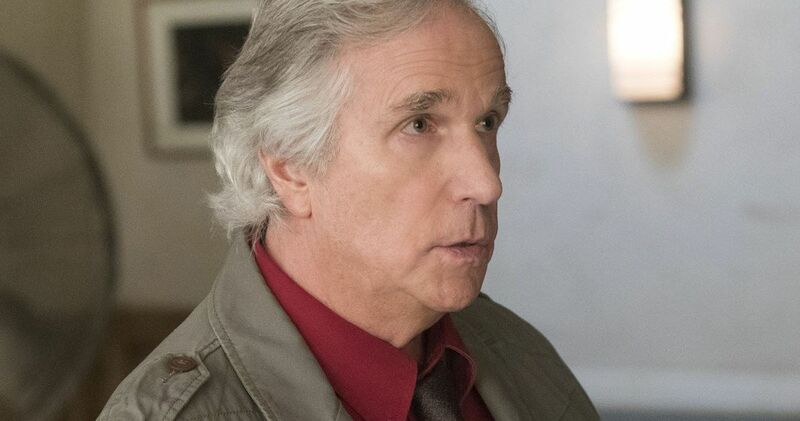 The 73-year-old Winkler has always managed to stay busy, having appeared on shows like Arrested Development and several Adam Sandler movies over the years, but he’s now in high-demand thanks to Barry, which earned him an Emmy for Best Supporting Actor and a Golden Globe nomination. Winkler is also up for a SAG Award for his performance in the series, which will air its second season this year. Undoubtedly, that positive attention helped land him this role in Wes Anderson’s latest. This adds to an already impressive cast that includes Wes Anderson regulars such as Bill Murray, Frances McDormand, Tilda Swinton, Adrien Brody and Bob Balaban. There are also several newcomers to the Anderson tribe, such as Star Wars: The Last Jedi star Benicio Del Toro, recent Oscar nominee Timothee Chalamet and Westworld star Jeffrey Wright. There are also rumors that Lea Seydoux, Natalie Portman and the previously mentioned Brad Pitt may turn up, but none of those names have been confirmed at this time. Either way, this is proving to be a stacked ensemble which, combined with Anderson’s sensibilities, makes this an intriguing project. This will be Wes Anderson’s first live-action movie since 2014’s The Grand Budapest Hotel, which was a hit at the box office and wound up scoring a Best Picture nomination at the Academy Awards. His latest movie, the stop-motion animated Isle of Dogs, was critically embraced, but only did relatively modest business at the box office, bringing in $64 million worldwide. The French Dispatch does not currently have a release date. We’ll be sure to keep you posted as any further details on the project are made available. This news was first reported by The Hollywood Reporter.